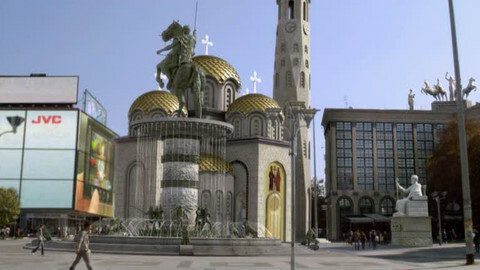 Serbia will be granted EU candidate status if it improves its relations with Kosovo. Montenegro can launch EU talks but will have to start with the most difficult chapters. And the remaining Balkan countries and Turkey have limited progress to report, the European Commission said Wednesday (12 October) in its latest enlargement reports. 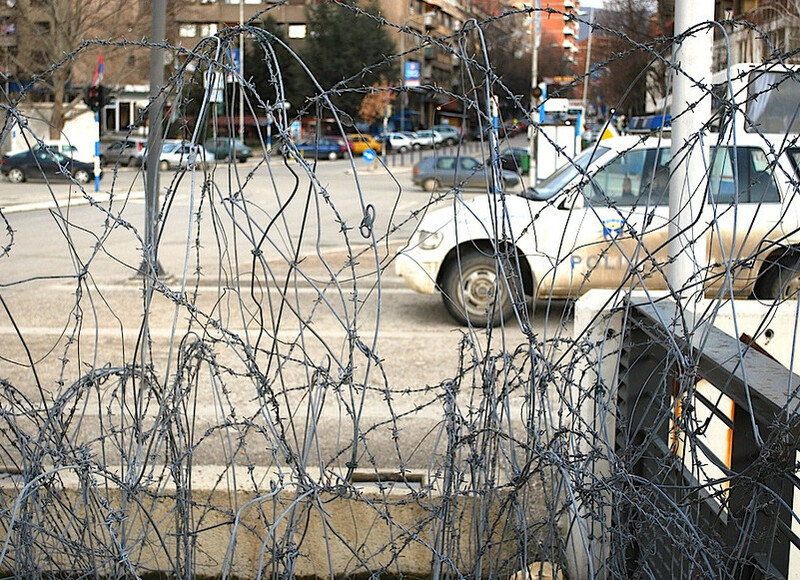 Apart from Croatia, which finalised EU membership talks in June and is expected to join the bloc in 2013, there is little good news to report from the western Balkans: violence in northern Kosovo has flared up during the summer and brought talks between Pristina and Belgrade to a standstill while Bosnia, Albania and Macedonia are not moving forward with their applications. Only Montenegro "has worked hard last year," EU enlargement commissioner Stefan Fuele said during a press conference, and will therefore be given the green light to start membership talks. But Montenegro will be the first country having to start negotiations with the toughest "chapters" - justice and home affairs. This novel negotiating move comes after the experience of Romania and Bulgaria who joined in 2007 and are still being monitored by the European Commission regarding their fight against corruption and organised crime. Croatia's progress in this area will also be checked until the last EU country ratifies the accession treaty. "Through that arrangement, we think Montenegro can deliver not only on adopting good legislation, but also on implementation and creating a solid track of reforms," Fuele explained. After having delivered the last two war criminal suspects to the international court in the Hague, Serbia has "achieved progress in important areas" and the EU recommends that it should be granted candidate status. But only "with the understanding that Serbia is re-engaging in dialogue with Kosovo and implementing agreements reached to date," Fuele added. The next stage, opening membership talks, will also be linked to Serbia making "further steps to normalise relations with Kosovo." Meanwhile, Kosovo is being asked to implement a "comprehensive agenda" to integrate the Serbian population in the north. 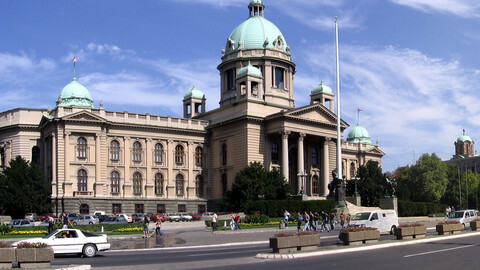 Belgrade does not recognise Kosovo and neither do five EU countries. Pristina itself can only look forward to starting a so-called visa dialogue by the end of this year, with the ultimate goal of allowing its citizens to travel visa-free to the EU. But with five member states still not recognising its independence, that prospect is seen as rather distant. "Organised crime and corruption remain major challenges. Kosovo needs to strengthen public administration. 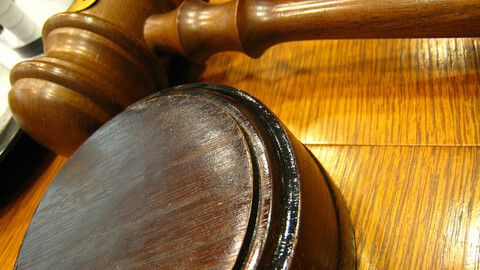 Judicial reform is pressing. The commission proposes to launch a structured dialogue with Kosovo on the rule of law to address these challenges," Fuele said. 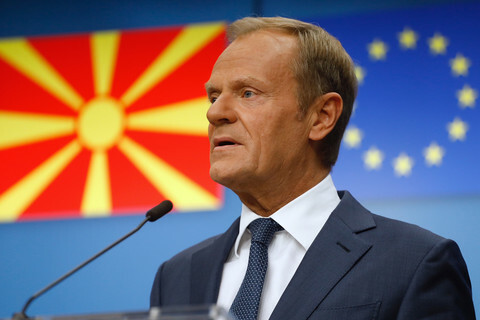 Macedonia, the country that almost became a Nato member three years ago and should have started EU talks last year, remains stuck over the 'name issue' due to opposition from Athens - which notes that it is a historical name corresponding to a Greek region. "With the continued impasse over the name issue, the motivation for reforms has diminished. There has been little progress over the past year. Core challenges remain, notably: independence of the judiciary, reform of public administration and fighting corruption. 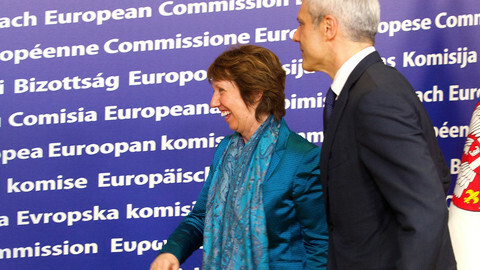 Freedom of expression remains a serious concern," Fuele told MEPs earlier on Wednesday when presenting the reports. He urged both sides to come to an agreement on the name, so that the Greek veto to opening negotiations is lifted. "Another year should not be lost," he stressed. With no government formed more than a year after general elections, Bosnia and Herzegovina is following in the footsteps of EU member Belgium, which holds the world record on this front. Unlike the Belgian administration ,which seems to function without hiccups, Bosnian officials could not even agree on who should manage some €100 million in EU funding flowing to membership hopefuls. "To advance towards the EU, the country needs to amend its constitution in line with the European Court of Human Rights ruling to eliminate ethnic discrimination regarding representation in institutions and adopt a state aid law at the federal level," Fuele said. Albania is no better off when it comes to political stalemate. A parliamentary boycott by the opposition has continued for more than a year, hampering any reform efforts. 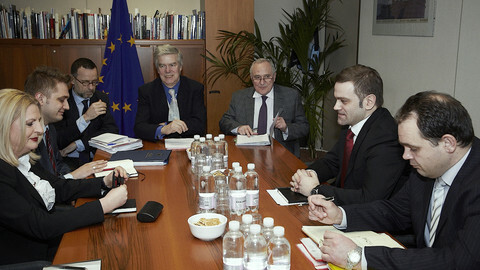 Fuele urged political parties to restart dialogue and allow the government to pursue EU-inspired reforms. The French, Greek and Cypriot blockade on Turkey's membership talks has left Fuele "frustrated" over the process. Not even chapters concerning press freedom and human rights can be opened due to the veto from one or all three opposing countries. The commission, after having started talks for democracy-promoting, economic and travel freedoms with north-African countries after the Arab Spring, does not want to let Turkey feel even more isolated. A "renewed positive agenda" in EU-Turkey relations is now on offer - since membership talks are on hold. This agenda would have more Turkish officials involved in EU foreign-policy talks, a perspective for visa freedom and a "deepening" of economic relations "to get the most out of the customs union." The divided island of Cyprus, which is the crux of the matter, is not making things easier, either, EU officials admit privately. Kicking off oil drilling explorations off the Cypriot coast has irked Ankara, which sent warships to the area. 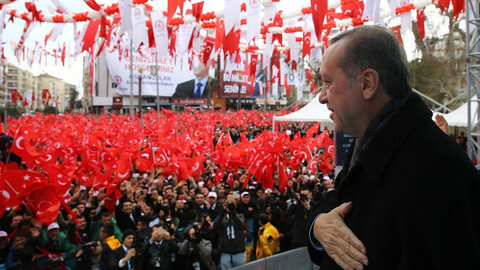 "We are concerned about the recent tension," Fuele said, urging Turkey to refrain from threats to its neighbours. "As we enter into this intensive phase of the Cyprus talks, it is essential that all parties exert restraint and do their utmost to ensure a positive climate that will facilitate a successful completion of the process," he added. In the north Atlantic meanwhile, Iceland is opening and closing 'easy' chapters - with fisheries and agriculture considered to be the trickiest ones to overcome. But public support for membership has dropped since the Dutch and British forced claims on the tiny nation to pay for the bankruptcy of failed online bank Icesave. "The commission will continue to supply the public debate on accession in Iceland with factual information about EU membership," the report reads. 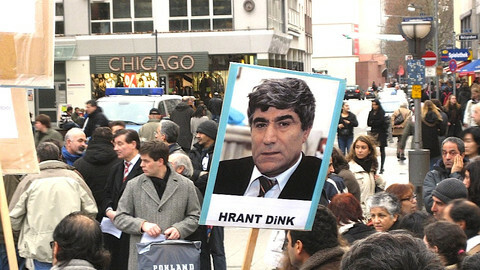 The European Commission in its 2011 enlargement report will tell Turkey to stop attacking investigative journalists and mark "limited progress" on pro-EU reforms in many Western Balkan countries. The Greek government collapse and the advent of a new team of technocrats demanded by international lenders cast bleak perspectives for solving a long-standing dispute with neighbouring Macedonia over the country's name, say politicians dealing with the region. The continued deadlock in Kosovo-Serb relations after this summer's violence is likely to prevent member states from granting Belgrade official EU candidate status at an upcoming summit in December. Nothing has changed on the ground in north Kosovo after Serbia agreed a new border pact designed to help it get EU candidate status.